Everyone is in such a rush….hurry through the check-out lane, keep talking while the waiter serves your food, did you notice the cashier? How about the teller at the bank or the valet at the restaurant? Could it be that these people we hardly notice have important stories to tell? Could they enrich our lives if we only knew them? One of my friends is a photographer. He makes a very special effort to meet people throughout the day and talk with them about their lives. You can see some of his work here: http://www.kerrywoophotography.com/goodpeople I believe his life has been made richer by the people he has met! I would like to propose an experiment. Tomorrow is the start of a new week….a perfect time to try something new. I propose that we make an effort to acknowledge everyone who serves us throughout the day. Use this experiment as the basis of the conversation starter if you like. Most service people wear name tags. You might start by simply saying, “Hello” and using the person’s name….and then introduce yourself. See where the conversation goes. It might seem very awkward at first, but if you make this a habit, it will become easier. I was standing in line a few days ago to get the oil changed in my car. I’ve been to this place before and know they do a great job with advertising. I had been to a conference recently and met the author of a book on marketing. I had just bought his book because his ideas were remarkable. When my turn came I thanked him for the amazing service I had received in the past, and told him I was aware of his hard work in marketing his business. I mentioned the book and he was really interested. He wrote down the title after I mentioned that the book dealt with “word of mouth” marketing. It was obviously important to him and he thanked me sincerely for the recommendation. I really felt good about that conversation, and the experience of getting my oil changed was much more pleasant than the normal cashier/customer experience. Try it…you’ll see and agree! The second example comes from a visit to McDonalds. That day I had my name tag on and the cashier acknowledged me!….that’s a switch! He said, “I drive by your store every day, but I’ve never been in. My parents bought all of their appliances from your store.” We had a nice, although brief, conversation. I gave him my card and told him to say “hello” from me to his parents, and invited him to stop in sometime. Again, the cashier/customer experience is usually nothing more than a financial transaction followed by a “thank-you.” I was instead very impressed by his customer service, and at the same time was able to represent my company and thank his parents indirectly for their business. Will you try this experiment tomorrow? I would love to hear about your experience! You just never know who you will meet and what might happen as a result! It might be your life that is enriched! All in Favor of Free Range Children, Say Bok! I liked this post so much I wanted to share it with my audience! Give it a read….it really makes sense! Last year my sister ordered 16 baby chicks in the mail so that she could have her own eggs and know exactly where they came from. Her goal: to raise happy, healthy free range chickens fed the top of the line organic food. No antibiotics or cheap genetically modified corn products for these chickens au natural! She loves her chickens. When they first graduated from the warmly lit crate in the house to the coop she would go daily for “play time”, sit with them and hold them and even talk to them. Her thinking… happy, loved chickens will eventually produce happy healthy eggs. Can you say “crazy chicken lady?” But truly what she was doing really made so much sense!! Crazy or not! What’s the BIG IDEA? Post YOUR ideas here! Unless you’re living under a rock, you know that things have definitely changed! For example, we used to do business with companies that had been established many years ago. Very old companies meant trust, reliability, and the belief that they had the products we needed and wanted. Now one wonders if being an old, established company is a benefit or a liability! Here’s what I mean…. Doing business “the way it’s always been done” is a good way to go OUT OF BUSINESS! Change, innovation, creativity, ease of use, the latest invention, the newest trend….companies and individuals that understand this change will be the success stories of today and tomorrow. Recent history is proof. Great examples of failure to innovate fast enough can be seen in publishing and the music industry. Today a new product or service can be launched 24/7 worldwide by anyone with a computer, and even that has changed in just the last year! This is the year of the smartphone and tablet. We are all equipped, around the clock and around the world, to seek out new information, new products, and share new ideas. So I’m asking today, “What’s the BIG IDEA?” I think it would be really exciting if everyone reading this blog would share a link in the comments below to the latest big ideas. What have you discovered today that you would like to share? What have you created that everyone will be talking about tomorrow? The opportunities just ahead are incredible! Can you see them? Share your comments below, or connect with me at http://www.kimtag.com/nashvillesmart Today’s thoughts by Tom Burns, Seller of things essential to life as we know it…. I blog every day. The subject usually presents itself from an experience during the day, or perhaps as a result of a news story or event. Each time something surfaces as the dominant thought of the day, I do a little research on the subject. I usually start with google or google scholar, but that can take me in many different directions. 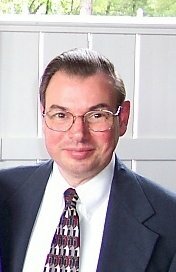 I often find myself following a variety of links and digging deeper into the given subject on wikipedia. I may look at twitter or facebook to see if the subject is trending, and those sites can often lead me in still more directions. I often end up on MSNBC or CNN. The tragic event in Boston on Monday has certainly given me a lot of opportunity to search for answers. But the search for answers goes deeper today. Our lives have become all about “immediacy.” We have become so used to faster and faster service that anything less is considered reason for complaint. We are connected to the internet 24/7 by our smartphones and tablets, and soon our glasses will even give us all the information we need to navigate our daily lives! But I would ask the question, “Are more answers necessarily good answers?” Is the source reliable or is it opinion. Going back to the horrible bombing event Monday, the major news channels have repeatedly released incorrect information, just to be corrected shortly by the FBI. But as soon as these incorrect “facts” are released, everyone tweets them into the cloud, making it more and more difficult to discern fact from fiction. Answers, whether fact or fiction, have a huge impact on our lives! The economic opinions reported as “news” can have global impact the next day. We pretend to be rational in our decision-making processes, but we act quite irrationally in reality. The stock market is a perfect example! What answers are you searching for today? My name is Tom Burns. I search for answers every day, both here on my blog, and at work. 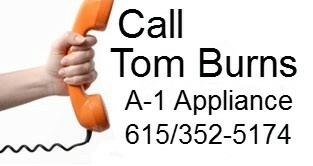 I am a sales professional at A-1 Appliance, where I help people search for ways to make their home more comfortable with new kitchen appliances. The answers are not always perfectly clear. The result is based on the constraints of need, want, availability, cost, and available space. Quite often the opinions of the home builder, general contractor, interior designer, or realtor enter into the equation. It can get quite confusing…..but I love to help! The Elegance of the Hedgehog by Muriel Barbery. It’s a very thought-provoking book! Every few pages a thought just jumps off the page and totally grabs my full attention! I don’t want to share any lines here to spoil it for you…so go to your public library as soon as possible and read this book! Here’s another one I think you will enjoy…and it’s a very easy read! (Well, I say it’s an easy read….but it will stay with you for a very long time!) The title is The Curious Incident of the Dog in the Night, by Mark Haddon. You may find it a bit strange in the beginning, but trust me, it’s a really well done book. Don’t stop reading too soon! And if you can find an audio version, it’s even better! If you need a few great business books, I highly recommend anything by Seth Godin! I especially liked Tribes: We Need You to Lead Us and Linchpin: Are You Indispensable? On social media, I strongly recommend Wayne Breitbarth’s awesome book, The Power Formula for LinkedIn Success: Kick-start Your Business, Brand, and Job search. I sincerely think it’s a must-read book for anyone in business, from entrepreneur to CEO! If you are not making full use of the power of LinkedIn, you are making a serious mistake! My tip for today is to read daily. Read the newspaper, read from a trusted online news source such as Google News, or CNN, and follow the crumbs for more in-depth understanding of the issues. Keep a book at work to read at lunch, keep several books in progress at any given time! If your mind wanders, switch to another book. Choose fiction, history, biography, business, psychology, self-help, or one of many categories. Step two is to write about what you read. Share the wealth with others as often as possible. One final thought….read to your children! Start when they are still babies! You will benefit as much as they do! Give your children the gift of learning….the inspiration and pleasure of reading a good book. Reading and writing can change the world! By Tom Burns, Reader, Writer, Seller! Are you looking for great book recommendations? Not only great recommendations, but a place to keep records of the books you have read. Think you don’t have time to read? Keep a book at work and read a chapter a day at lunch. One chapter before bed can be relaxing and help you sleep better. Wish you could be more creative? The ideas often come from things you read. Have you ever listened to an audio book? It’s an amazing experience. It uses an entirely different part of the brain and brings the book to life. Pressed for time? Listen to an audio book in the car on the way to and from work. Today’s tip by Tom Burns….exercise your brain! Read a book! I have been inspired by authors, bloggers, news articles, and experiences throughout the day! It’s never been easier to write a book and self-publish. You can share your thoughts with the whole world by writing a blog…it just takes courage to share your thoughts! It’s inspiring that people well past traditional retirement age want to start new companies, run for political office, or write a book! Who says you can’t build a new home when you’re 70 years old….you might enjoy it for another 30 years!!! It’s never too late….at the end of the day to have your best sale! It’s not too late at the end of the quarter to get back into the black! It’s never too late to say “Thank you!” and make someone’s day better! Ask “open-ended” questions to start a conversation. Avoid questions that elicit a “yes” or “no” answer. Ask a lot of “why” or “why not” questions to start lively discussions. My name is Tom Burns. I sell things essential to life as we know it…. Ask me about it! What questions have you asked lately that started a great discussion? LilaBelle got into the trash can today….the kind with a swinging lid. 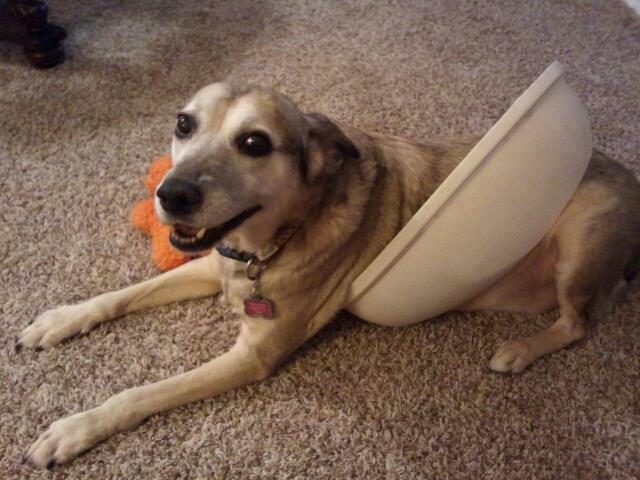 When she backed out, the lid stayed on her until the family came home! Too funny! Please visit LilaBelle’s facebook page and “Like” her…it would mean the world to her, and would sure surprise her family to see so many “likes” suddenly appear! Does your dog have a facebook page? Share it with us so we can see your best friend too!